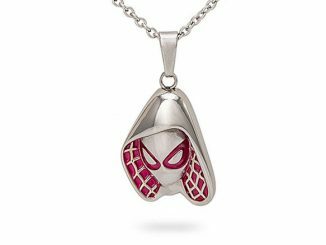 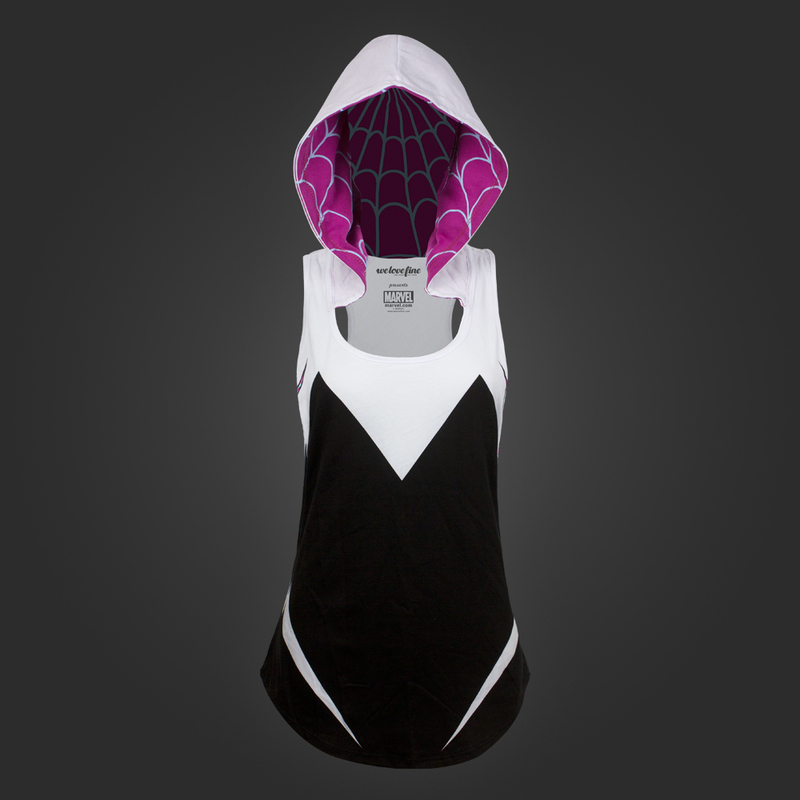 Move over Spider-Man because there’s a new web-slinger in town and the I Am Spider-Gwen Hooded Tank Top lets you be her. 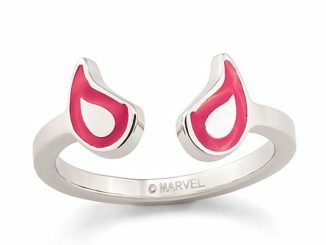 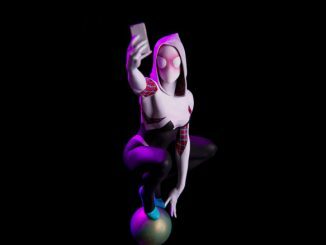 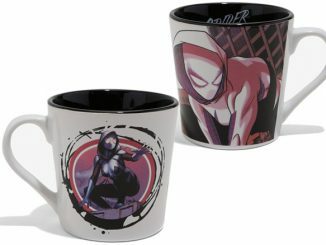 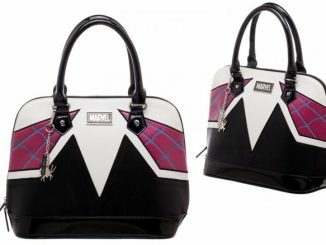 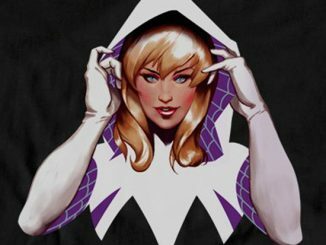 On an alternate Earth, Gwen Stacy was bitten by a radioactive spider, becoming the hero known as Spider-Woman, but comic fans immediately gave her a more fitting name – Spider-Gwen – as soon as she made her appearance in the Spider-verse storyline. 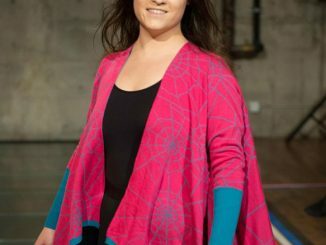 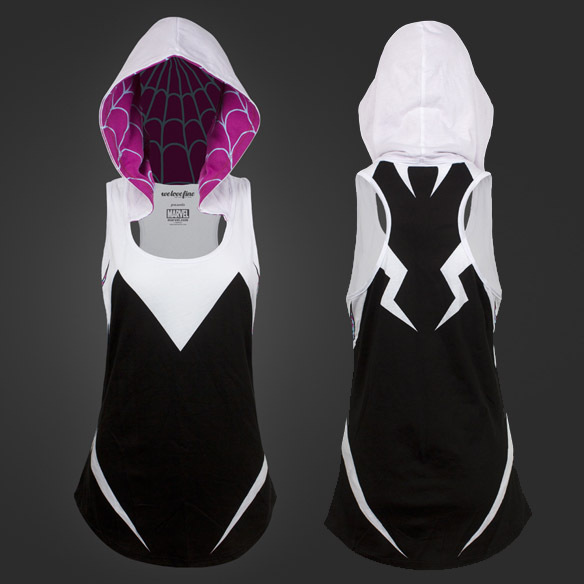 Gwen’s attention-getting style can now be shared with others, thanks to this 50% Poly/50% cotton blended jersey that includes Spider-Gwen’s hood. 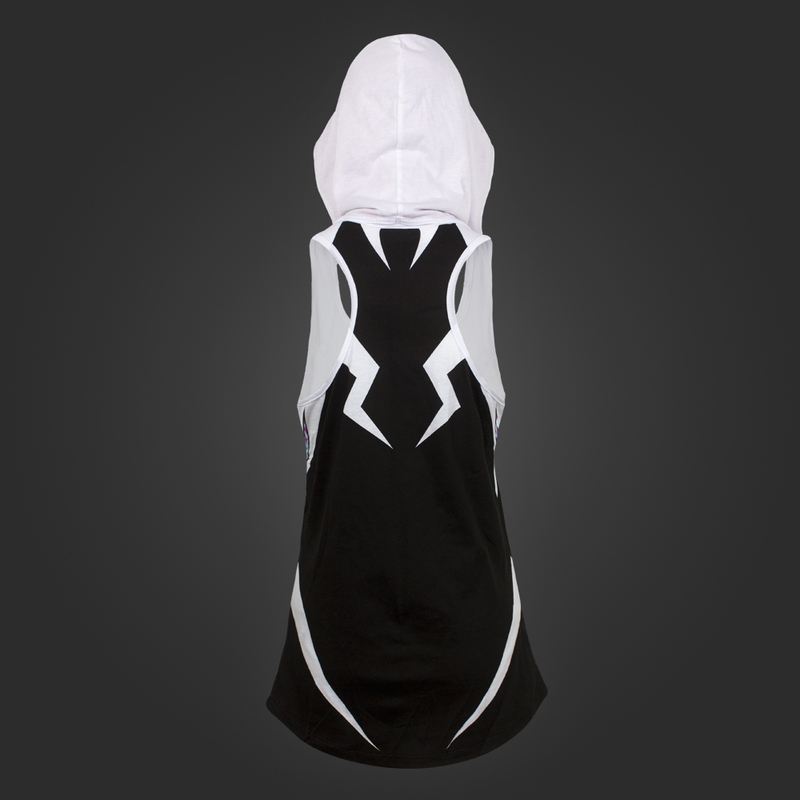 The I Am Spider-Gwen Hooded Tank Top will be available July 1, 2015 but it can be pre-ordered now for $28 at WeLoveFine.com.